As you can see from my posting history, I really like young contemporary artists. Too many lovers of Jazz and Classical music live in the past (“Ah, the times of Toscanini…” “Nobody plays like Bird anymore…” etc.). I disagree. We have so many fantastic artists around us right now, there is no need to live only in the past. That is not to say we should forget the past (case in point, my previous review was about a 1959 album from Oscar Peterson with music mainly from the 1930s), but the much more exciting treasure hunt is to find the contemporary gems, that don’t yet are household name. Some examples I’ve already written about include Shai Maestro, Benjamin Grosvenor and Igor Levit, or Vilde Frang. Another one is Aaron Diehl, He by the way also plays on the album below. Well, to be fair, you really don’t have to be a musical truffle pig to know about the 26 year old Cécile McLorin Salvant. She’s been praised all over the place after she won the Thelonious Monk competition, so if you read any Jazz reviews at all, you should have heard about her great debut, WomanChild. As you’ve seen from my post on my 25 Essential Jazz albums, I’m not such a big fan of vocal jazz overall. There are many singers out there with great voices, but the musical result is often a bit nondescript. Not so here. You’ll recognize her voice immediately, she’s already developed a great style, and having the brilliant Aaron Diehl at her side is a great asset, in a way this could become a similar winning combination to Ella Fitzgerald and Oscar Peterson. I already liked WomanChild, but this album gets even better. There are intimate piano only ballads like Left Over, songs that could come straight out of a Jacques Brel album (Le Mal de Vivre), and the outstanding 10:33 Something’s Coming (I think I mentioned already that I have a thing for long jazz tracks, this one is no exception). There is no weak track on this album, and unlike many other vocal jazz albums, you really never get bored. So to come back to the title of this post, my bold prediction is that in 30 years from now we will list Cécile in the Great Hall of Jazz along with Ella, Sarah, and Billie. I trusted her enough that I had this album in pre-paid pre-order without even listening to it once, and will certainly do the same for her future releases! UPDATE: Review of her concert in Basel in 2015 here. I was fortunate to see and listen to Cécile McLorin Salvant with Aaron Diehl, Paul Silkivie and Lawrence Leathers LIVE at Jazz à La Villette yesterday. It was simply fantastic! I expected to spend a good time, but it was much more than that. I had already listened to her new album that I had pre-ordered but the live performance was even better in many ways. Among others, the musicians had the opportunity to play some more jazz music as Cécile obviously makes a point at letting them express themselves too and they deserve it. The public was obviously enthusiastic and after a standing ovation we were served with two recalls, with a great solo by drummer Lawrence Leathers on “You Bring Out The Savage In Me”. 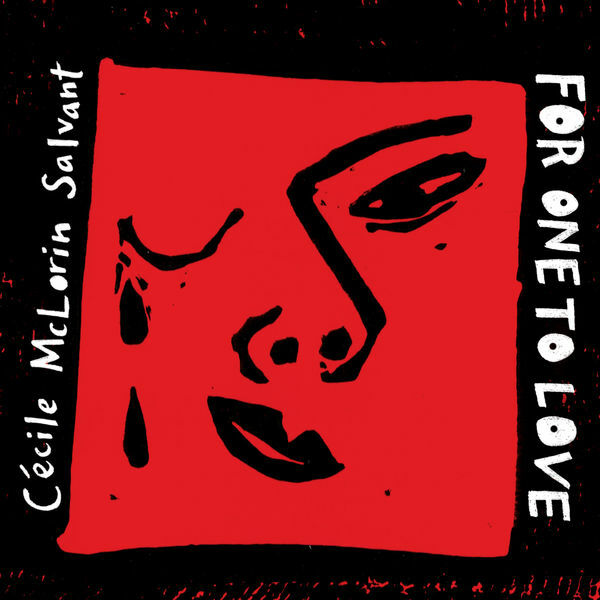 The last recall saw Cécile and Aaron alone play “For One to Love”. A real delight. So if you get a chance, don’t think twice and go see them LIVE! You’ll enjoy a great moment of Jazz. Thanks for sharing, sounds fantastic. I hope I eventually get to see her live. That “For One to Love” leaves me nothing in the end, no feeling. As you say sometimes, I just don’t get it! Really? Well, I suppose there we go with regards to different tastes. Maybe I’m biased having seen her live, but to me she really is amazing. I have to admit though that I like the music but the voice is not my cup of tea. I’d rather go to Shirley Horne instead. So sad she’s no longer with us.